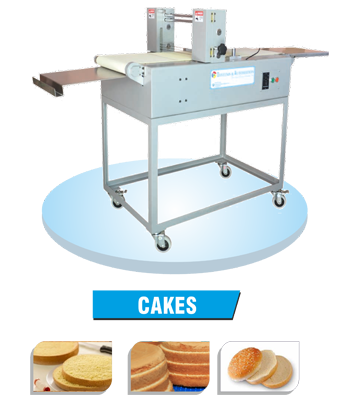 Double Band Saws For Excellent And Smooth Cake Slicing. In the step of 5mm along 25 slots. Bottom and Top Conveyors with adjustable Speeds. Two set of blades , foldable behind tray, pull and push front tray. Only Bottom Conveyor with adjustable Speeds.